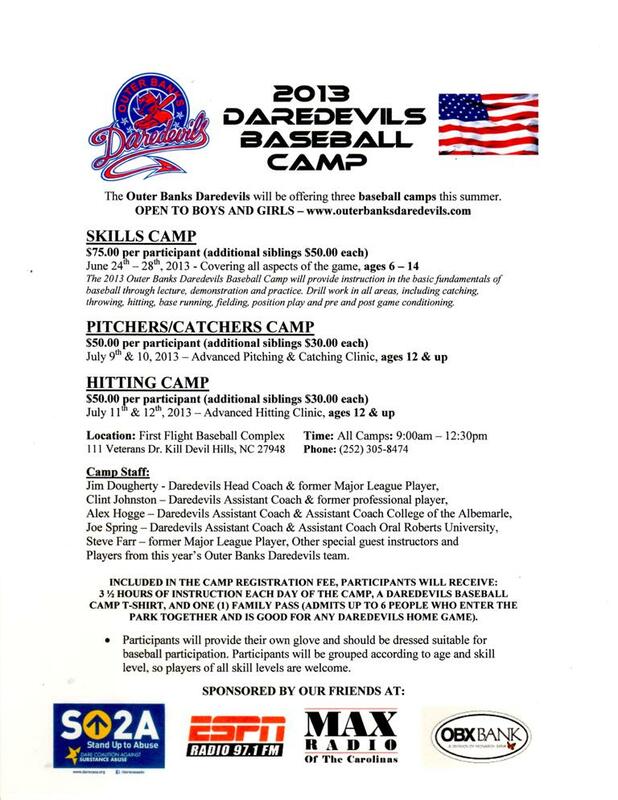 The Outer Banks Daredevils have announced the dates for the 2013 Daredevils Baseball Camps. Please see the attached flyer or click here to see information flyer and registration form. We hope everyone will be able to be a part of our baseball camps this summer. OUTER BANKS DAREDEVILS SEASON PASSES: ON SALE NOW! This pass entitles bearer and their guest admission to ALL Daredevils home games* Family/Group must enter gate together. Season Passes are On Sale Now! You may purchase Daredevils Season Passes at the Tranquil House Inn, located on the Manteo waterfront, at 405 Queen Elizabeth Ave Manteo, NC 27954. Simply stop by the front desk and ask for Daredevils Season Tickets, their friendly staff will be happy to take care of you. Tranquil House Inn is open 24/7, so you can stop by anytime. We will also be hosting several “Season Ticket Sales Events” at some of our great sponsor’s locations around the Outer Banks over the next few weeks. 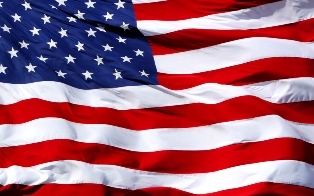 We will be posting locations, dates and times here on our website and on Facebook, so please check back. The Outer Banks Daredevils are proud to announce their 2013 Coaching Staff. Please help us welcome Head Coach Jim Dougherty, Assistant Coach Alex Hogge, Assistant Coach Clint Johnston and Assistant Coach Joe Spring. To learn more about our coaches, click here. The Tidewater Summer League’s 2013 Collegiate Division schedule has been announced, with the Daredevils playing 30 games at the First Flight Baseball Complex in Kill Devil Hills, NC and also the Daredevils will be hosting the 2013 TSL All Star Game on June 30, 2013 at the First Flight Baseball Complex, game time 7:30pm. 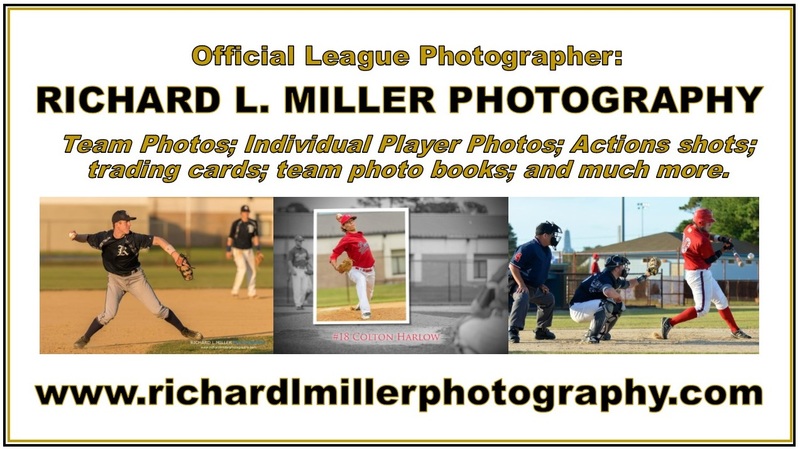 To see the Daredevils schedule visit our Schedule page, and to see the full Tidewater Summer League schedule, visit the TSL Schedule page. 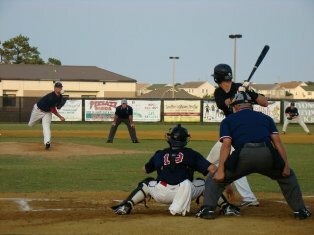 The Outer Banks Daredevils owners announced they have negotiated additional home games for the Daredevils for the 2013 Season. The Daredevils will now be playing 30 games here in the Outer Banks this season. 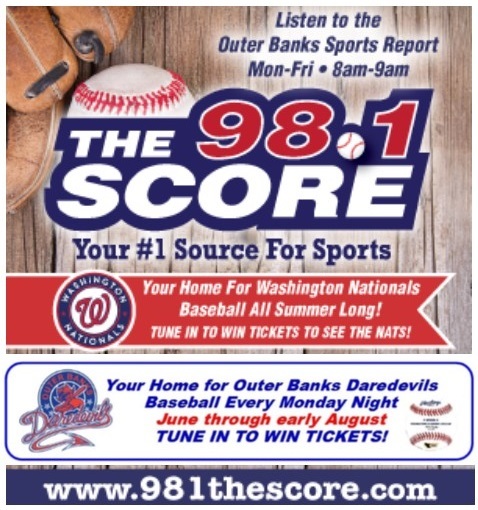 In addition, the Daredevils will be hosting the Tidewater Summer League All Star Game at the First Flight Baseball Complex in Kill Devil Hills, NC. The All Star Game will take place on Sunday, June 30, 2013 at 7:30pm.